The XSL-01 is presented in ‘stack’ formation, with winged Moonship rocket-glider sitting atop the finned multiple booster, though the parts count is surprisingly low, at just 50 components. No matter: the kit - patterned by Scott Lowther, cast by BLAP! Models, with scaled-up decals by JBOT - looks like a fine display piece, especially as it has a specially produced stand (above). 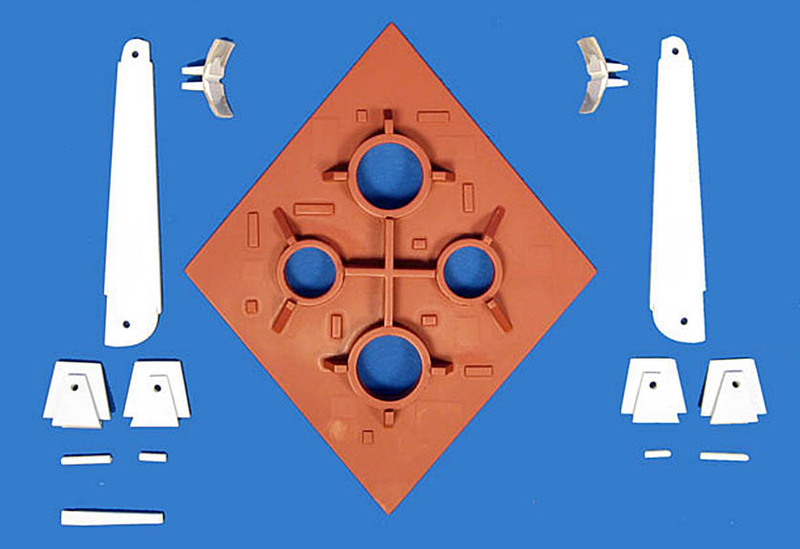 Actually, this latter is the biggest departure from the Revell kit, as it is simpler than the original (below). According to Fantastic Plastic, the 1950s-era kit (above and below) is a ‘Holy Grail’ collector's item that commands top-dollar prices when one comes up for sale on an auction site such as ebay. So this kit is a chance to get your own, and with the bonus of being made in a far more widely used scale than that of the original. 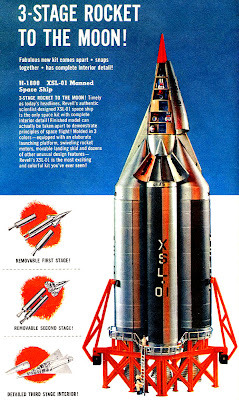 The XSL-01 (Experimental Space Laboratory Number 1) was designed in the mid-1950s by Ellwyn E. Angle. Formerly associated with the Bell X-1 and X-5 aircraft, Angle was working for SLC (Systems Laboratory Corp) in California, when he was put in contact with Revell, based in nearby Venice Beach. 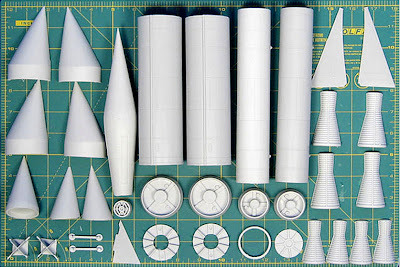 Revell needed original concepts for its fast-expanding line of space-related models, then a hot subject area for the company. 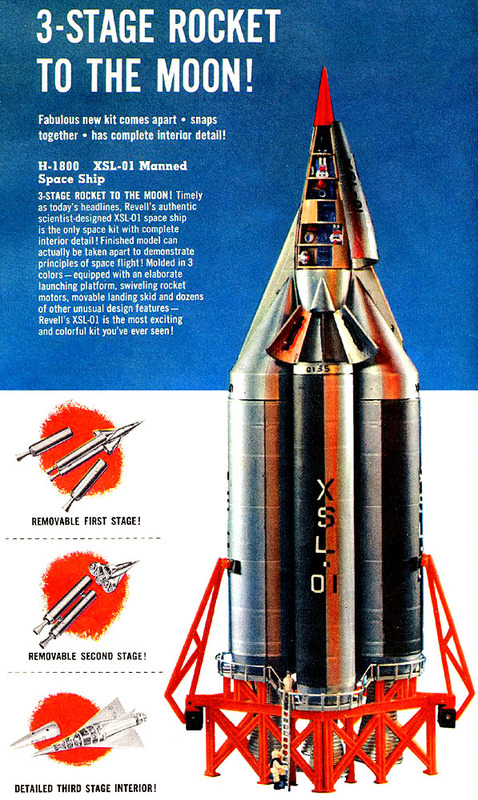 The launch portion of Angle's XSL-01 concept consisted of four liquid-fuel boosters, to propel the winged and crewed Moonship to orbital altitude. Then the Moonship’s nuclear engine would fire up for the Earth-Moon flight. Angle envisaged a vertical landing on the lunar surface, followed by exploration, then blast-off back to Earth, with a glide landing - like the now-retired Space Shuttle fleet - after atmospheric entry. 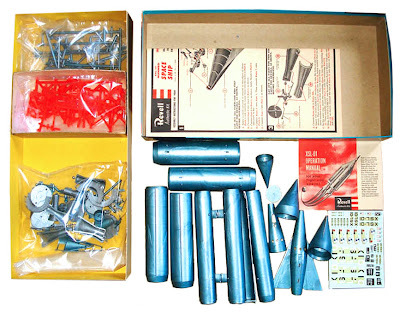 Revell released a separate kit of the Moonship (above) in 1957, though this has never been re-released by the company. This Fantastic Plastic kit has been delayed, but should be available this month. 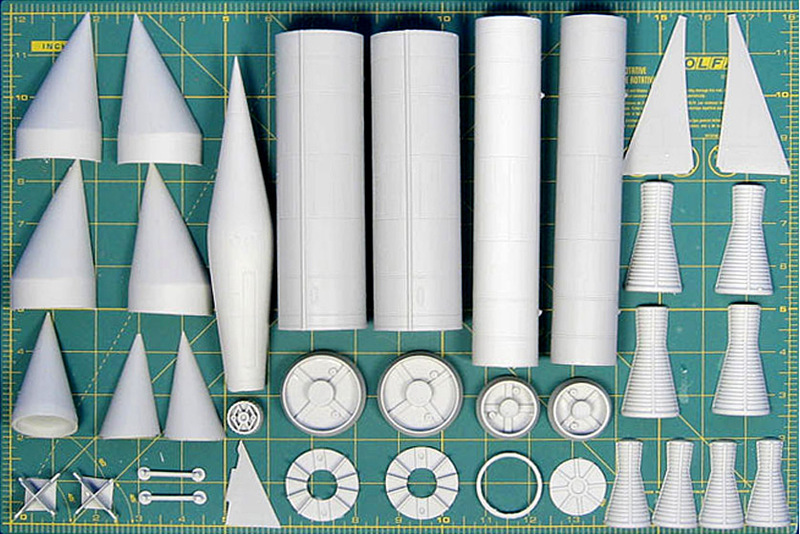 It’s a fascinating kit for space enthusiasts, that now comes in a standard scale. You lose the interior detail that was a feature of the original Moonship which is a shame, but externally the FP kit can be made to look highly convincing. Read about Ellwyn E. Angle at Mat Irvine’s smallspace site here.